'I was never a great amorist,' wrote H. G. Wells in his Experiment in Autobiography in 1934, 'though I have loved several people very deeply.' 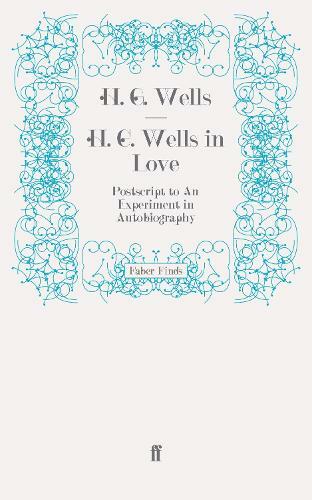 H. G. Wells composed his most candid volume of autobiography, H. G. Wells in Love, secretly, knowing it would never be published in his own lifetime. It is a great writer's true confession of the loves of his life, beginning in the 1930s when Wells was at the summit of fame having published The Invisible Man, Kipps, and The War of the Worlds. Though he had already written his published autobiography (the two volumes of Experiment in Autobiography are also available as Faber Finds), he saved his most private reflections for this, detailing his engagement in a series of romantic affairs, including his famous liason with feminist author Rebecca West, twenty-six years his junior, and his second wife, Amy Catherine Robbins. This volume completes and complements the published volumes and offers a unique insight into the life of one of the best-loved of British writers.